Kevin Schwarz attended Oklahoma State University where he received his Bachelor of Science degree in 1989. After graduation he worked for Hemingson, Durham & Richardson in Dallas, TX. He also worked in the City Planning Department in Plano, TX. Since 1993 Kevin has worked as a financial professional focusing on company sponsored retirement plans for the last 15 years. He works with multiple company retirement plan clients in Oklahoma. Kevin earned his Qualified Plan Specialist title with AXA Advisors, LLC in 2003, and in 2009 he earned the Chartered Retirement Planning Counselor designation (CRPC). He has been a member of the National Association of Insurance and Financial Advisors (NAIFA). Also he is a member of the Million Dollar Round Table. Kevin earned the AXA Hall of Fame Award in 2015; which is the highest honored award that an AXA Advisors, LLC. associate can be awarded. Kevin has also served as a representative for the National Agents Forum (NAF) of AXA Advisors. 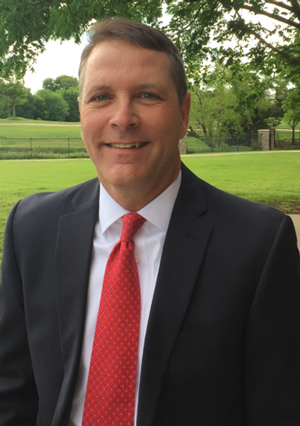 Kevin has served as a council member for the Edmond area YMCA. Kevin has resided in Edmond, Oklahoma since 1995. He and Mackay, his spouse, have been married since 1996 and have 4 children. They are members of St. John’s Catholic Church. AXA Advisors and its affiliates do not provide legal or tax advice. Please consult your legal advisor for such guidance. Qualified Plan Specialist title is awarded by AXA Advisors, LLC based upon successful completion of an internal training program and written assessment. Cornerstone Planning Group, LLC is not owned or operated by AXA Advisors, LLC or its affiliates.